Ahmednagar, 20-November-2016: Bosco Gramin Vikas Kendra (BGVK) in association with STULZ PVT. LTD. organized a “BAL MELA” (Children’s Day) for the children of the villages of Ahmednagar and Beed Districts. 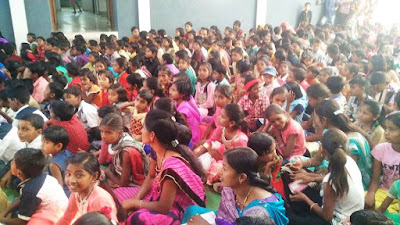 Around 557 children participated in this programme. Fr. 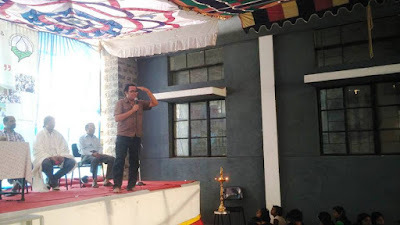 Rolvin D’Mello (Director of DBDS, Mumbai) was the Chief Guest for the programme. A Village Education Programme is being run in the 25 villages of Ahmednagar and Beed districts of Maharashtra. The sole objective of this programme is to improve the quality of the education at the lower standards thus reducing the drop rate in the higher classes. This VEP project is fully financed and supported by STULZ PVT. LTD. The day began with the moments of prayer followed by Felicitation and speech by the Chief Guest and Fr George D’Abreo (Director of BGVK). The climax of the programme was the magic show; the children really enjoyed it. There were also spot prizes for GK quiz followed by cultural programme. The children went back enriched and refreshed by the wonderful day that they had; it was truly a memorable day for all of them.